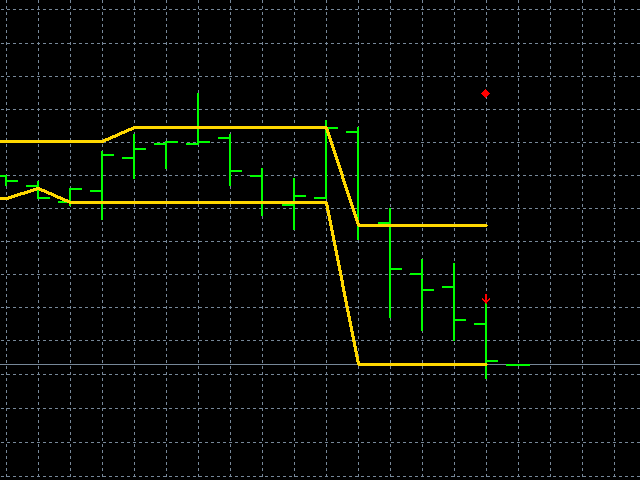 The indicator plots two subsequent channels by the closing prices and checks if their sequence matches the scheme demonstrated in the screenshots. If the conditions are met, a signal is formed, which is displayed by an arrow of the corresponding color on the chart. A rhombus on the chart displays a possible stop loss level. When a signal forms the indicator can generate a pop-up window, send Push and/or Email - notifications. Introduced the "floating channels" scheme. The program iterates over the channels by length specified in the ChMin and ChMax parameters, respectively. 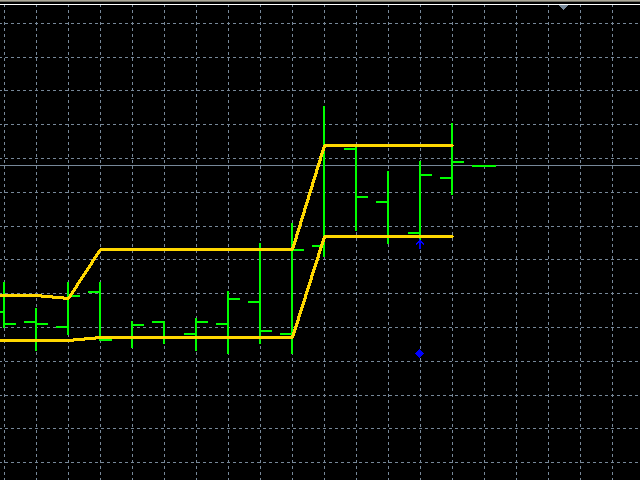 Added the SignalLive parameter - the bar interval for the repetition of the signal formation.